We work with universities up and down the country, but our favourite to dress is always Winchester University. In our opinion, their Student’s Union is the best! This is one impressive roof don’t you agree? 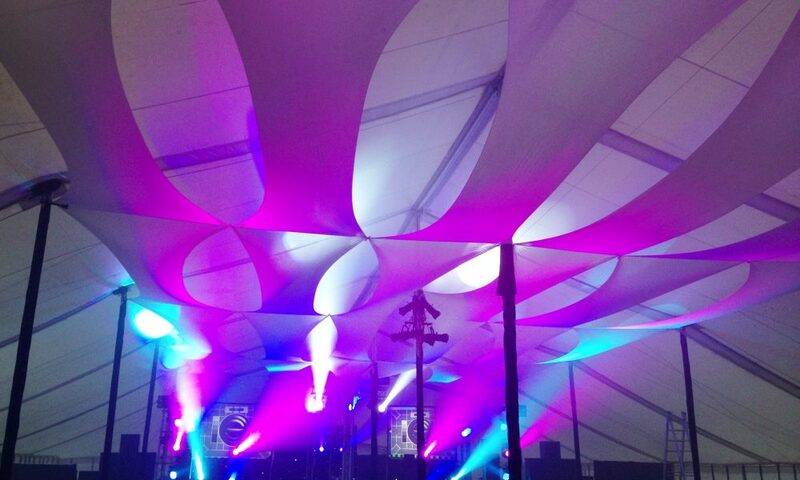 Our voile draping and pixel bars transformed the club at Lincoln University into something really special for their Graduation Ball. 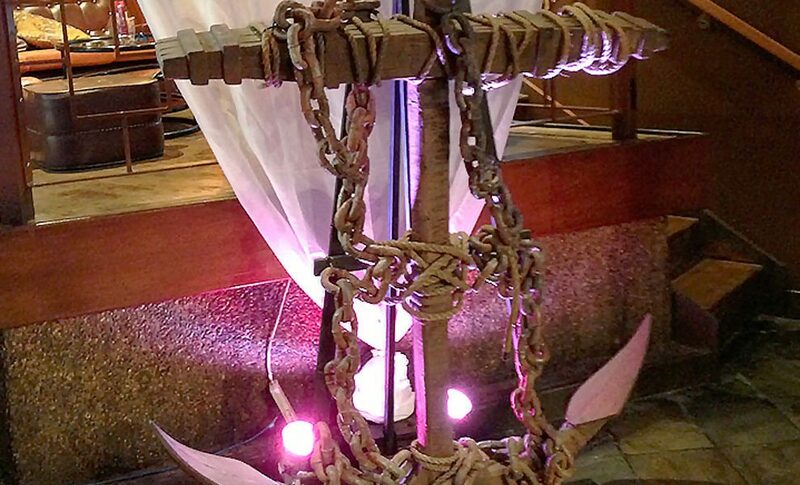 We were asked to help with the theming for the PSP Southampton Boat Show opening party at The Orange Rooms. The theme was “The Ark” and we had great fun hanging cargo netting, installing a giant anchor and placing some huge animals lining up to go aboard. 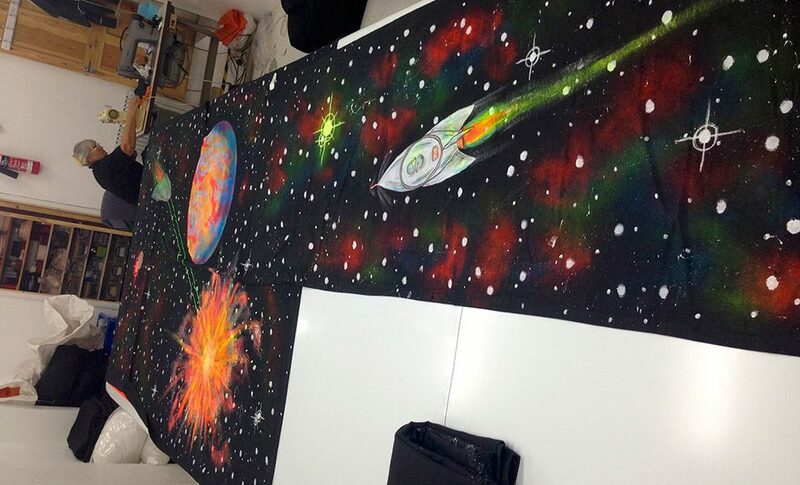 We hand painted a UV Space Invaders backdrop for the Olympic Park in London. Maria, our trusty seamstress sewed it together ready to hang. 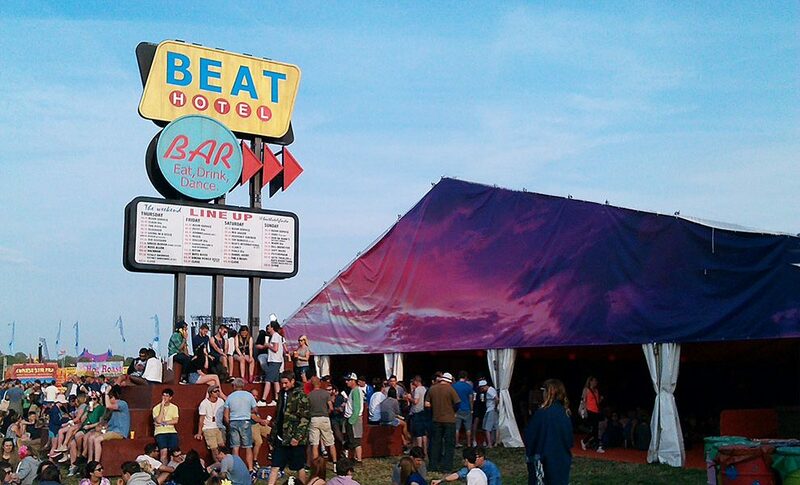 The Beat Hotel is a welcoming sanctuary at the heart of Glastonbury Festival. 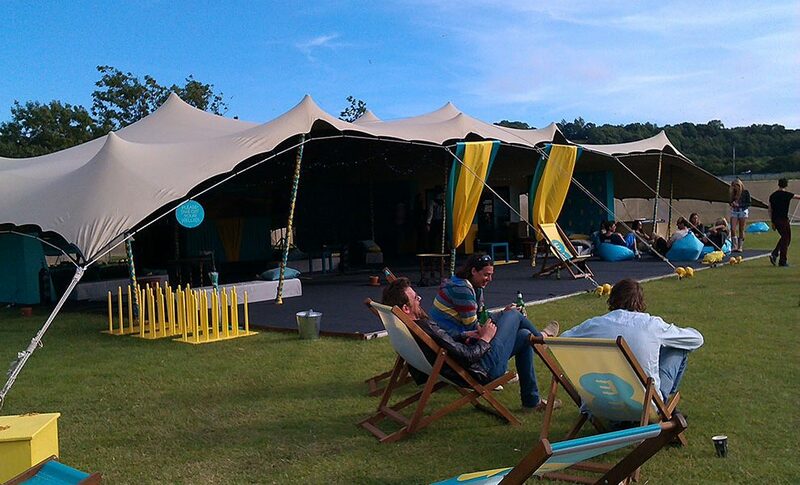 Food, Cocktails and a welcoming soundtrack will help any overwhelmed festival goer relax! The Beat Hotel is a picture in Orange and we were excited to help carry the orange theme into the roof of the hotel with our bespoke fitted fabrics. 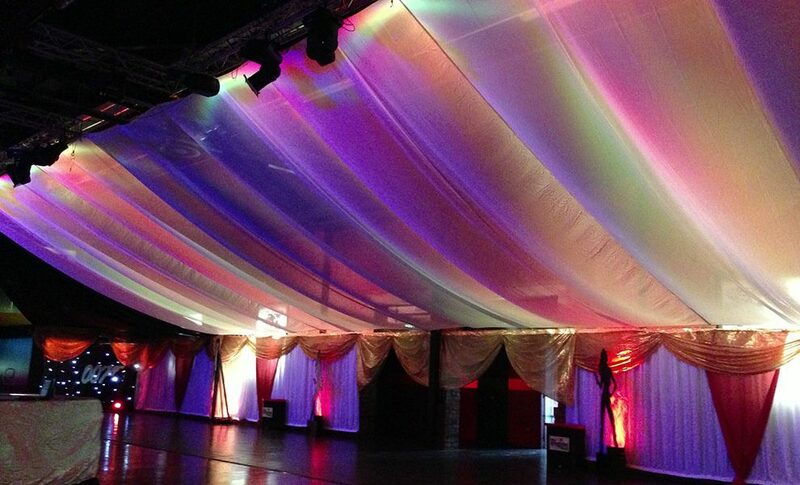 We installed our stretch fabrics at Essex University for their graduation ball. 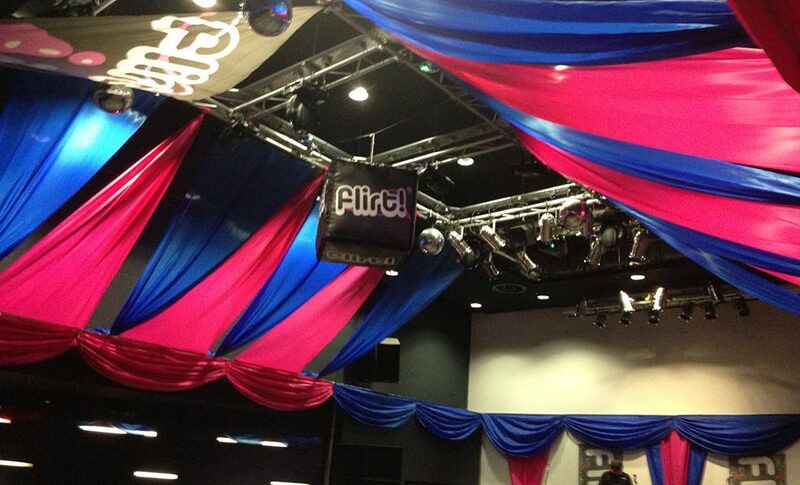 Essex University always have great nights for their students and look to us to help with the theming, we know how to add that special touch to make the look of an event really unique. 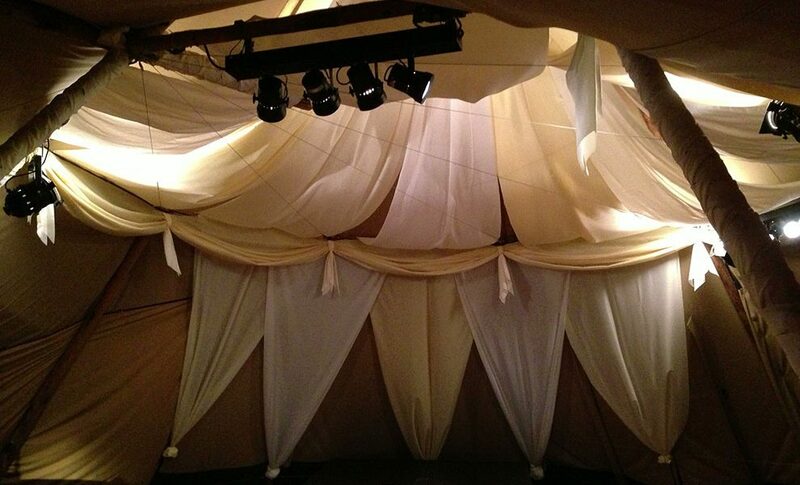 For several years we have dressed and draped the beautiful stretch tent that Orange use for their VIP area at Glastonbury. Whilst retaining the Moroccan/Bedouin theme, the colours were updated to reflect the new logo and branding, following the change from Orange to EE. 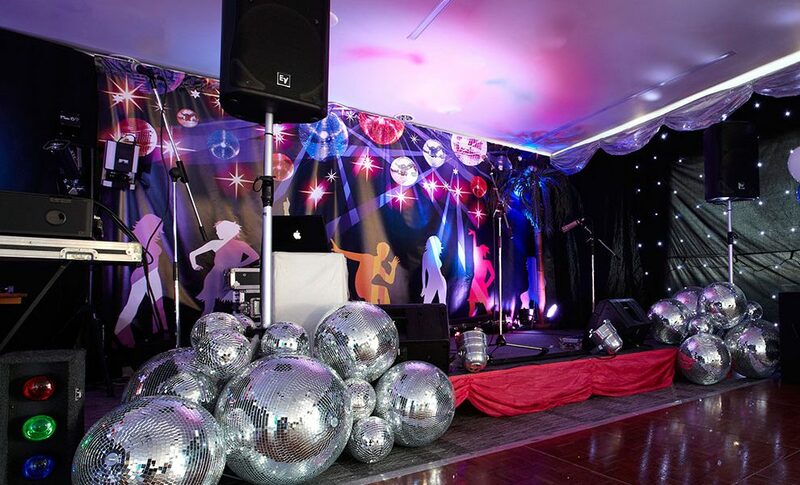 We added some disco fever to the function rooms to give colour, light and excitement at this Private Party. We used all our best disco props and lamé fabric to create a party fit for the Bee Gees themselves!